The EFFZETT Area-Pro Trout Spoon range is offering everything that is needed when it comes to modern trout area spoons. The range includes 7 different shapes/weights and a total of 21 different colors that make beginner and expert happy the same way. 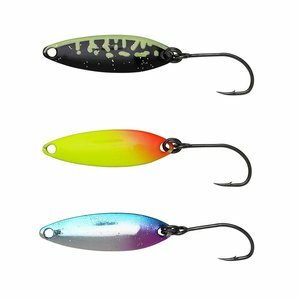 Comparing price and quality of the EFFEZTT Area-Pro Trout Spoons are the best value for money solution available.